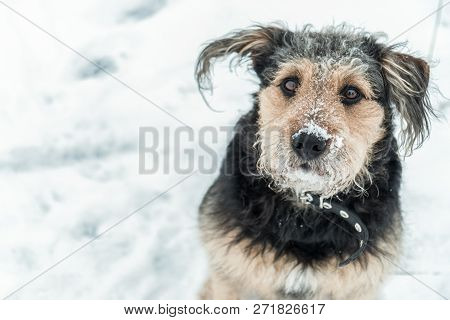 dog › Buy Poster of Dog Looking Funny With Frosted Snow Over Nose In Winter - Cold Season. Winter Dog Portrait. Poster of Dog Looking Funny With Frosted Snow Over Nose In Winter - Cold Season. Winter Dog Portrait.